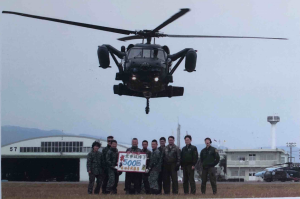 In December, Mansfield Fellow Logan Barlow visited the Nyutabaru Air Rescue Squadron at their base in Kyushu, where he learned firsthand about Japan Air Self-Defense Force rescue operations. Captain Barlow, a U.S. Air Force pilot, also thanked first responders from the JASDF who assisted with rescue operations following a U.S. Marine Corps plane crash in November 2017. On February 4, Captain Barlow will be speaking at a seminar in Tokyo, co-hosted by the Mansfield Foundation and the National Graduate Institute for Policy Studies (GRIPS), about the future of the U.S.-Japan security alliance. More information on that event is available here. This entry was posted in Fellowship Experiences and tagged Japan Air Self Defense Force, MFP No. 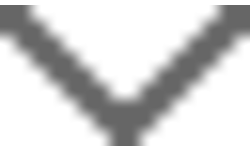 23, the National Graduate Institute for Policy Studies (GRIPS), U.S. Air Force, United States Air Force. Bookmark the permalink. This is a program of the U.S. Department of State, administered by The Maureen and Mike Mansfield Foundation.